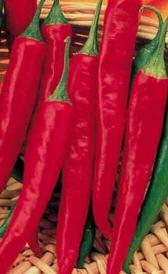 On this page you'll find a selection of items belonging to the group of spices and herbs. Through the links on this list of foods that are spices and herbs and you will know their properties and amount of nutrients that each food has. Below is a list of foods belonging to the category of spices and herbs. Clicking on each one of them, you can view the properties of oils and nutritional information in addition to the benefits to your body. Red or cayenne pepper: This food has a low quantiti of water, sodium and pantothenic acid but has a high quantity of ash, carbohydrate and total dietary fiber. White pepper: High in carbohydrate, total dietary fiber and calcium and low in total lipid, total sugars and sodium. Poppy seed: Poppy seed is high food energy, total lipid and ash. On the other hand. is low in water, sodium and vitamin c.
Poultry seasoning: This food is low in water, sodium and pantothenic acid but Poultry seasoning has ash, carbohydrate and total dietary fiber in high quantity. Pumpkin pie spice: This food has a low quantiti of water, sodium and pantothenic acid but has a high quantity of carbohydrate, total dietary fiber and calcium. Dried rosemary: High in ash, carbohydrate and total dietary fiber and low in water, total sugars and sodium. Saffron: Saffron is high ash, carbohydrate and iron. On the other hand. is low in total sugars, pantothenic acid and folic acid. Ground sage: This food is low in water, total sugars and sodium but Ground sage has ash, carbohydrate and total dietary fiber in high quantity. Ground savory: This food has a low quantiti of water, total sugars and sodium but has a high quantity of ash, carbohydrate and total dietary fiber. Dried tarragon: Dried tarragon is high protein, ash and carbohydrate. On the other hand. is low in water, total sugars and sodium. Dried thyme: This food is low in water, total sugars and sodium but Dried thyme has ash, carbohydrate and total dietary fiber in high quantity. Ground turmeric: This food has a low quantiti of sodium, pantothenic acid and folic acid but has a high quantity of ash, carbohydrate and total dietary fiber. Fresh basil: High in vitamin a, beta-carotene and lutein+zeazanthin and low in food energy, total lipid and carbohydrate. Fresh dill weed: Fresh dill weed is high calcium, iron and potassium. On the other hand. is low in food energy, total lipid and total sugars. Yellow prepared mustard: This food is low in carbohydrate, total sugars and vitamin c but Yellow prepared mustard has sodium and selenium in high quantity. Table salt: This food has a low quantiti of water, food energy and protein but has a high quantity of ash and sodium. Cider vinegar: Cider vinegar is low in food energy, protein and total lipid. 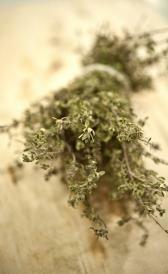 Fresh thyme: Fresh thyme is high total dietary fiber, calcium and iron. On the other hand. is low in total lipid, total sugars and sodium. Vanilla extract: In food has a low quantity of protein, total lipid and ash. Distilled vinegar: In food has a low quantity of food energy, protein and total lipid. 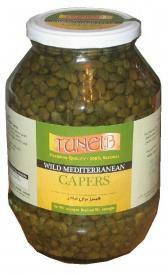 Canned capers: This food is low in food energy, total lipid and carbohydrate but Canned capers has ash and sodium in high quantity. Prepared horseradish: In this food there are some nutrients that are found in low quantity, for example protein, total lipid and iron. Fresh rosemary: This food has a low quantiti of total sugars, sodium and selenium but has a high quantity of total dietary fiber, calcium and iron. Fresh peppermint: High in calcium, folate, total and food folate and low in total lipid, total sugars and sodium. Fresh spearmint: Fresh spearmint is high calcium, iron and folate, total. On the other hand. is low in food energy, total lipid and total sugars. Dried spearmint: This food is low in total sugars, selenium and vitamin c but Dried spearmint has protein, ash and carbohydrate in high quantity. Red wine vinegar: In food has a low quantity of food energy, protein and total lipid. Balsamic vinegar: Balsamic vinegar is low in protein, total lipid and ash.